Prison Tactical Team like this stormed into yard at Kinross after peaceful protest. 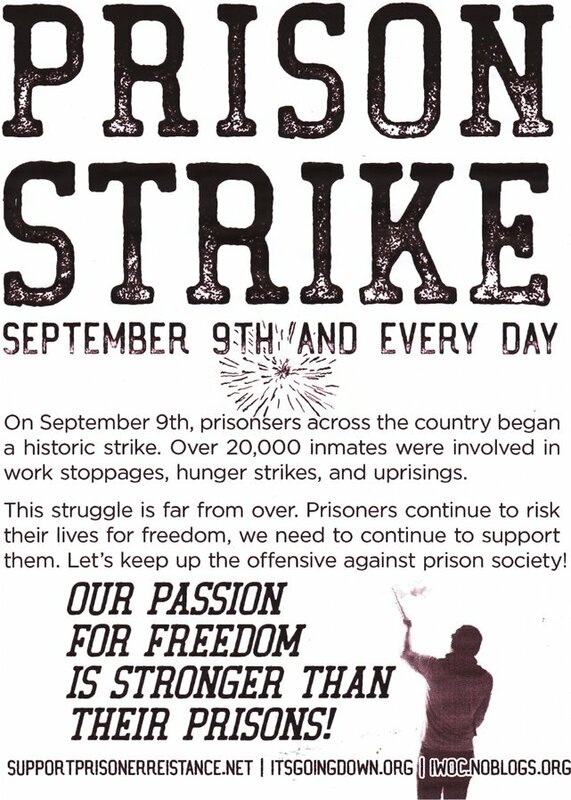 Most prisoners, including kitchen staff, did not report for work on September 9 in conjunction with the nationwide work stoppage [in remembrance of the historic Attica rebellion in 1971.] The following morning, between 400 and 500 prisoners marched peacefully in the yard. 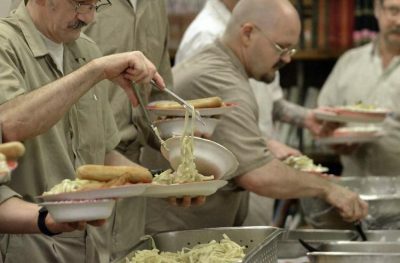 The deputy wardens came to the prisoners, who communicated their grievances, including low wages, the commutation process , restrictive visitation room seating in violation of MDOC policy, high phone rates, poor quality and quantity of food provided by private contractor Trinity Services Group, the way the yard is run, living conditions that squeeze eight men into a room intended for four, no re-entry programs, no bleach for clothes, MP3 players that break easily and cannot be fixed or replaced, not enough room in the law library, not enough room in the visiting room and so some visitors are turned away, and not being allowed to transfer to other facilities. 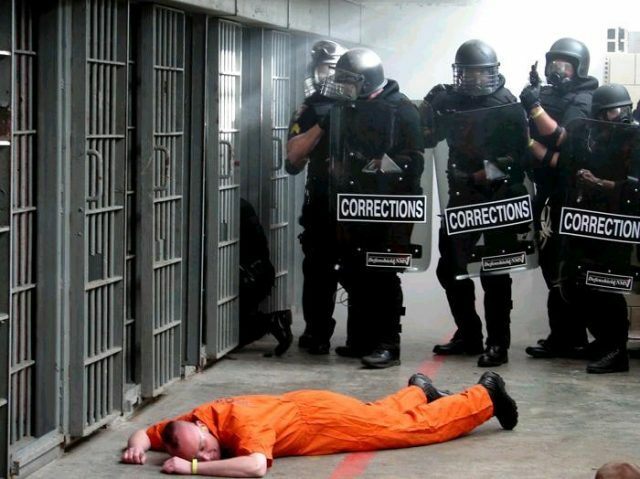 Prisoners also demanded no retaliation for their peaceful protest, and according to prisoners, the deputy wardens agreed to address the grievances or communicate them to the legislature if necessary. The prisoners thought they had come to a common agreement and began to disperse. To their surprise, as soon as the deputy warden left, a tactical team stormed into the yard with guns, rifles, tear gas, and shields. The armed officers then started grabbing the men alleged to be instigators, handcuffed their arms behind their backs with zip ties, and threw the men to the ground in the yard. They were left for five to six hours in the rain, and were not permitted to use restrooms during that time, forcing some to soil themselves. The violent assault of the armed officers triggered panic among the prisoners, who feared for their lives. 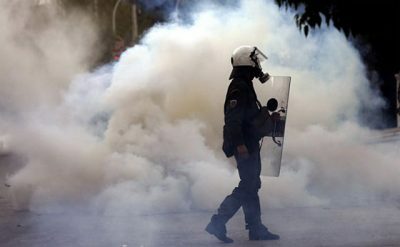 Some reported being shot at directly with tear gas canisters. Others attempted to barricade their unit doors. Reportedly, fires were set in several units, at least one window was broken, and sinks and surveillance cameras were damaged after the officers began their assault. Media reports have focused on who was to blame for the damage to physical property, not the violence done to prisoners in violation of their human rights.